More leads, better customers, higher retention and more sales every day on autopilot. 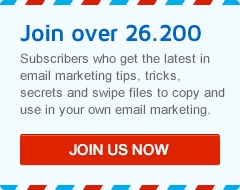 Let's build your Email Sales Machine in 7 days. Are you ready?! SEND MY TRAINING! Everyone loves stats, especially when it comes to Social Media. Without doubt one of the biggest shifts we are going to see is the move over to mobile in terms web and apps services access. Literally running everything on the road is a reality now with approximately 85% of BrandMails’ entire business being able to be run from my iPad. Mobiles currently outnumber computers and laptops at an estimated at 4 to 1, what does this means in terms of influence in the perception of marketing professional promoting their businesses? Here are the results of a US based survey we found very interesting from eConsultancy. The best stats in social media are those becoming a customer in your business. Use BrandMail to power your email marketing and let create a stream of ready-to-buy customers for your business!